we are open all day 7 days a week from 10:30 - late. Our menus incorporate some of Britain and Europe's best-loved dishes together with other gourmet selections from England, Italy and France. 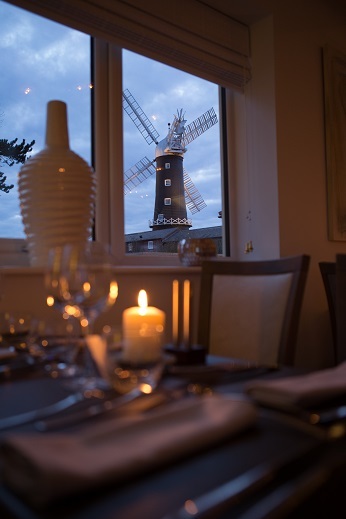 All dishes are prepared with fresh seasonal produce and combine local ingredients with those sourced further afield. I booked afternoon tea for a friends birthday. I was a little bit worried as read some not so good reviews on tripadvisor and felt responsible for every one having a nice time. Anyway i needn’t have worried as everyone really enjoyed it. Nice surroundings, prompt service, good selection of sandwiches (I asked for no fish as a friend is allergic and that was remembered), and excellent cakes. I usually don’t enjoy scones but those were delicious. Thanks for making it a lovely experience. 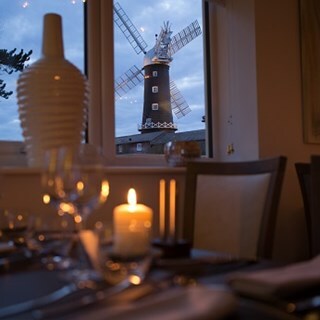 We had a wonderful meal last night;  it is always a pleasure to visit, when we are in Hull. The food and service always makes us want to return year on year. Thank you once again for an excellent evening. When we saw Andy to sort out details we talked about the noise level problem encountered on a previous occasion. This happened again this year as there was a group in the adjoining space and background music. This review is written on behalf of the Hull Women’s Literary Club and not as a private individual so my name is not relevant in how I appear in the review. Friendly and welcoming service especially towards my 3 year old! Food was excellent as usual can't wait to come back! Fabulous food, great service without being hassled, lovely setting. Pricey but good for a treat. Second visit and there will be more. Fantastic food and would have been a fantastic romantic meal for two had it not been for the fact that we were sat on a big round table facing the same way. When you book a table for two you expect to be sat opposite each other so you can talk in private,we could have sat opposite each other on the table we were given, if we wanted to shout across it. Food was great but  we were very disappointed by this cold table seating, in a near empty restaurant, that had lots of tables for two empty! It would have been been nicer to have heard the piano while we were eating. Such a waste to have the piano in the entrance. Visited the restaurant for Sunday lunch. Meal was spoiled by the amount of gravy lashed on the plate. Surely a Restaurant of your standing should provide gravy boats it is not Fred's caff after all. Meal could have done to have been hotter also service very slow was waiting 40 mins for meal. The service we received from the moment we arrived was exceptional! Every member of the team were attentive and very friendly, although big mention had to go to Big Steve and Little Steve who were just amazing!! The food was also incredible! We will definitely be return customers!! Thank you for such a lovely evening! I had a lovely afternoon tea in the terrace room upstairs. Great value, brilliant service and lovely food. Thankyou! Lovely clean restaurant, beautiful views. Food was very nice, hot and very good portions, Rice pudding was amazing  Staff was very attentive, looking forward to next visit. The food was excellent as well as the staff, came for a Christmas gift and thoroughly enjoyed it. Although the food is higher in price the quality more than justifies the cost. Had a fantastic evening. Steve and Steve P looked after us very well . 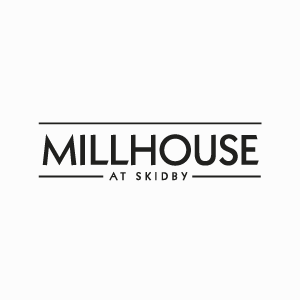 Food was super and my wife had a lovely Birthday at The Millhouse. Can’t wsit to go back. Went for a quiet dinner with family for my 21st and we all had a great time. The food was lovely and the staff were very helpful. Thought the drinks were expensive. But we enjoyed the Sunday Lunch. Got a voucher for xmas, booked table easily online. Was welcomed upon our arrival,  ordered drinks, given menus. ordered food. then shown to table. Staff very friendly, polite,  food was beautiful, excellent portions, would definitely recommend and would definitely go back again. Car park was very slippy and should have been gritted. Didn’t like set up of restaurant, our table was in the middle of the room. We had to wait for initial drinks for quite a long time. Food service was good and food was fantastic. Had to wait a long time after asking for the bill, had to ask twice. Plenty of staff around but they could have been more attentive.